Almost there!! Some final tweaks and then ... the engine is fired up for the first time. 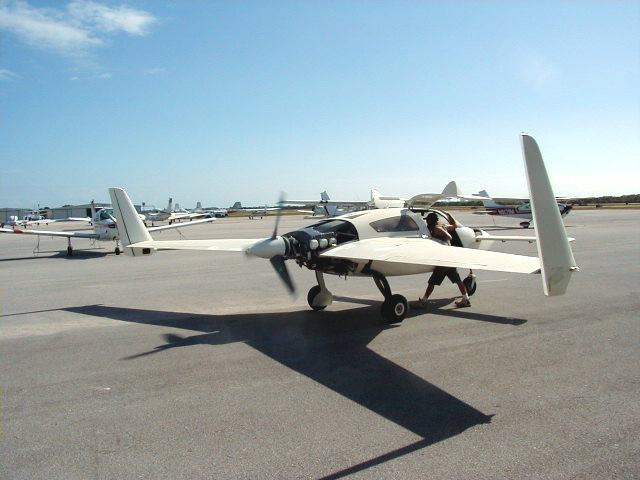 A few more items on the list and FAA inspection is next and then ... first flight!! Click on thumbnails to view larger versions of the pics! 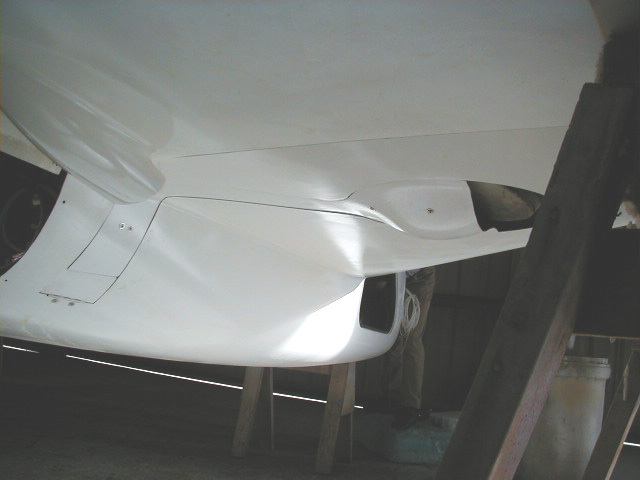 The canard is bolted into postion. You can now see how all the equipment seen in the Systems Work III section fits into the section of canard just under the cover. 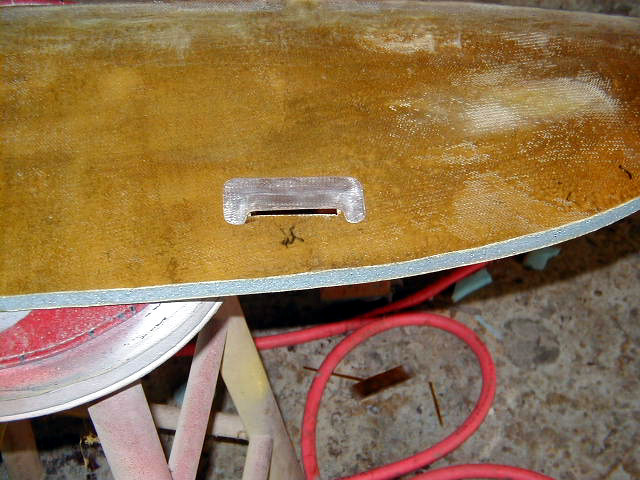 Nutplates for flush mounted screws will be installed to hold the cover on the canard. This is it! N724X is pulled out onto the ramp in front of Hangar 18 (which, oddly enough, is located in hangar 13) - ready to start! It's ALIVE!!!!!!! First test run. Opening up the throttle. Peering at engine instruments. Another test run after cleaning spark plugs of oil, giving a smooth running engine! A view of the front office with all the goodies now loaded into position! Vacuum cleaner parts??? Nope, these are the little fittings for the defroster system! 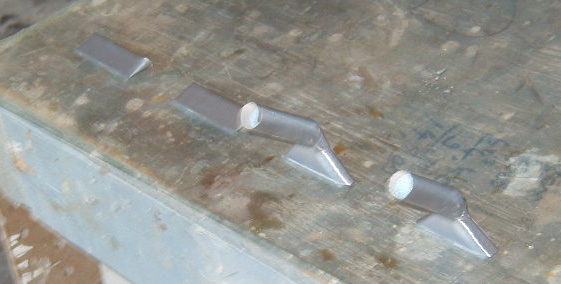 Fiberglass layups are placed over the duct taped surfaces. More defroster system. 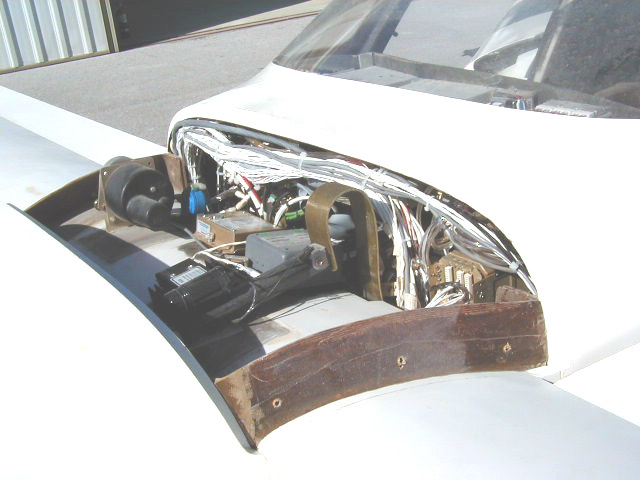 The 2 pieces on the right are fittings to connect tubing pulled off the cabing heater fan where it is then directed against the windshield by the two deflectors to be mounted on the glareshield seen on the left of the photo. 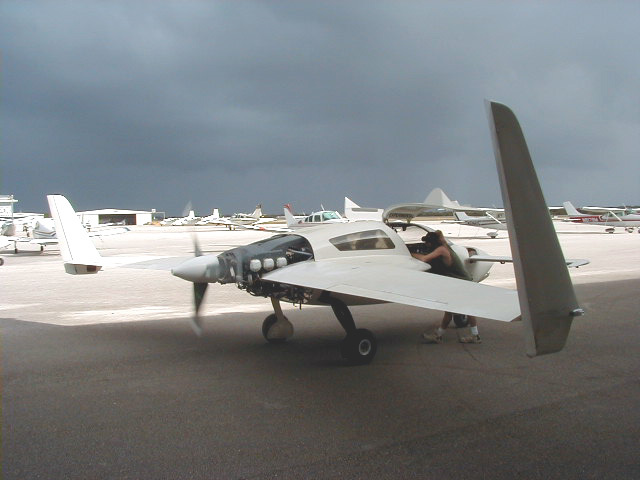 Underside of the glareshield. At top, the two openings are seen for the defrost fittings seen above. 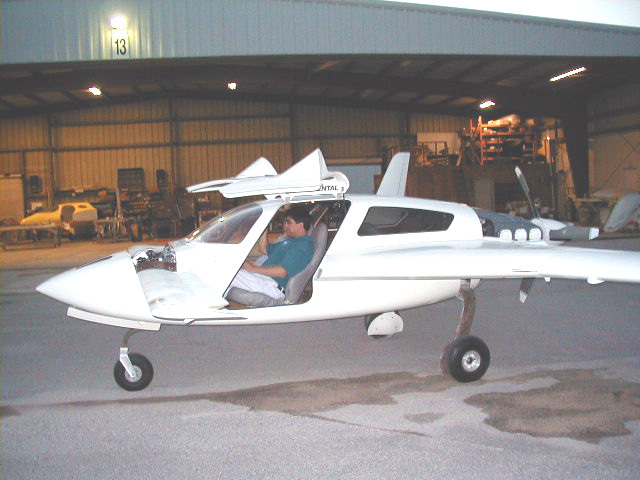 The joggle line across the width of the glareshiled corresponds to the top edge of the panel. 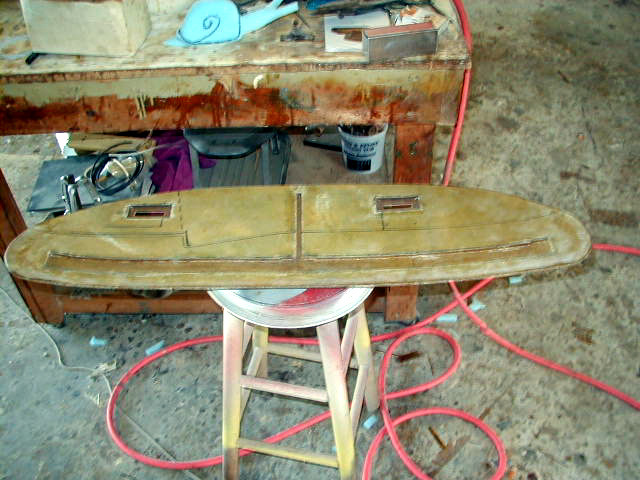 The Aeroenhancements strip lights and wiring will be installed in the upside down T-shaped hollowed out section seen at the bottom. Defroster fitting in position. Both defrost fitting in place. 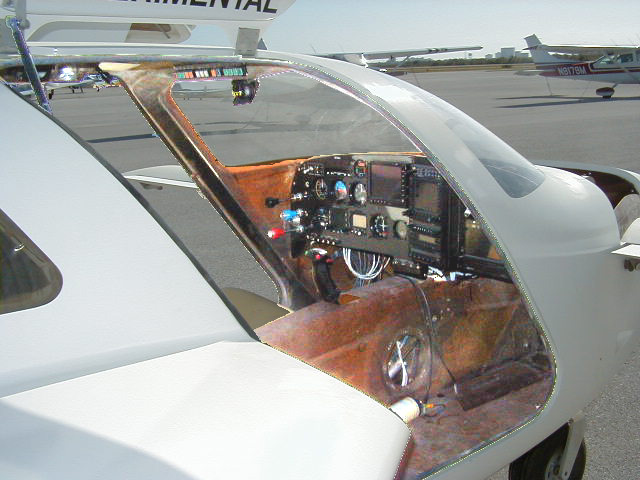 Ultravision Glare Shield Lighting strips by AeroEnhancements are recessed into the glareshield. 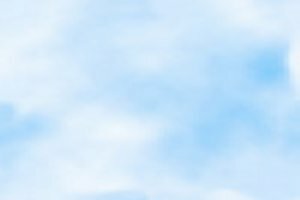 These will provide outstanding night lighting and, in an emergency, can run off of a 9 volt battery for hours. 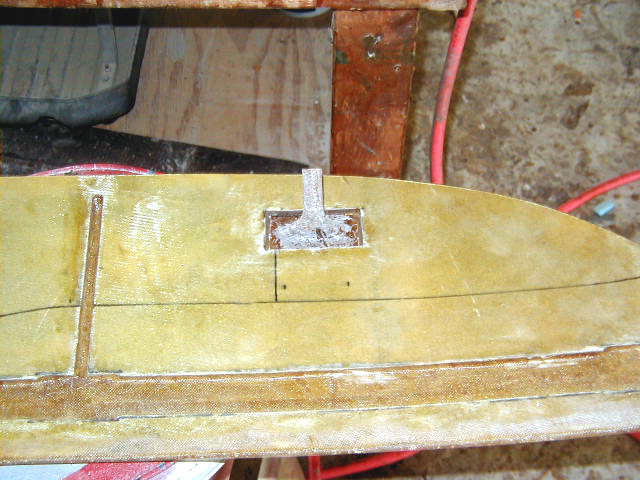 Top surface of the glareshield showing the other side of the defroster fitting. Deflector for defrost system to direct warm air against the windshield. 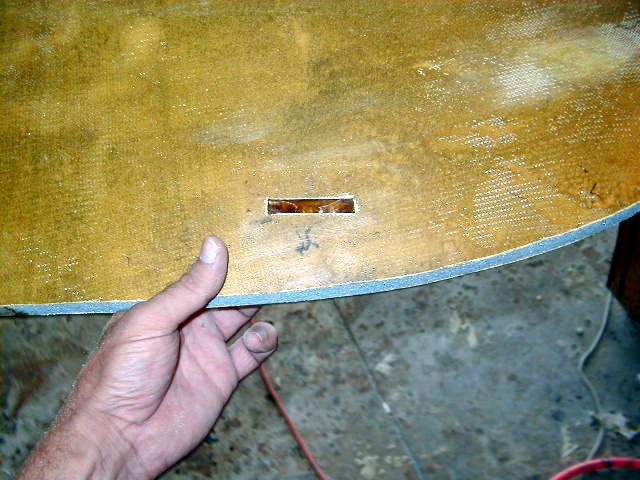 Closed gear doors. Now nearly ready, N724X dreams of flying! Busy canard top surface gets busier. 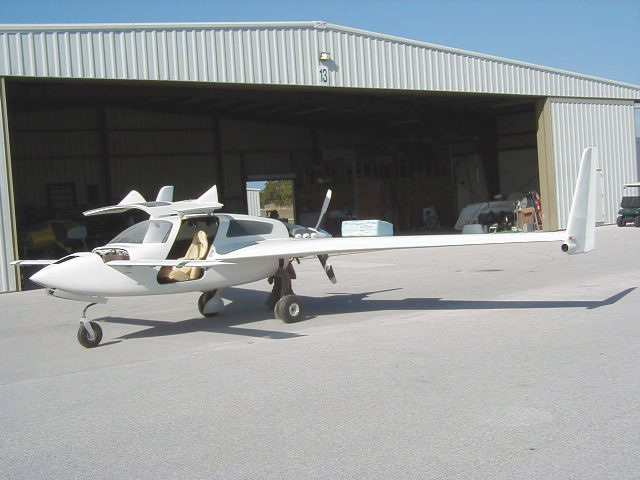 The Garmin GPS antenna is moved off to the side and the avionics fan provided by Aerotronics is installed. Blown air will be routed to the MX20, GNS530 and the SL30. Overhead plenum lights and vent. Nice view of the roof with belts for 4 point restraints seen. Also note carbon reinforced roof canopy above front seat occupants. Thanks to Mitch Ide, N724X has Corvette seats for comfort. Makes the upholstery job a LOT easier too! N number in place! Getting ready for inspection! MT Hydraulic Prop. Basking in the sun, N724X ready for more engine test runs. More front office! Overhead switch panel and compass. 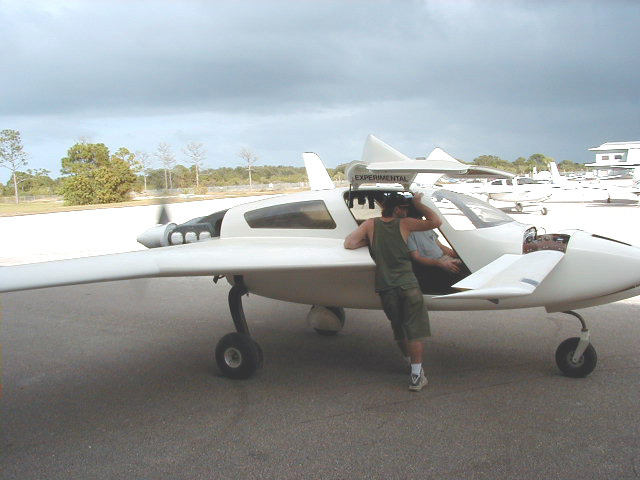 Note little ridge built up to tilt compass forward to level postion. MicrVideo color video camera installed in its mount. Wingcam dome in place!! Duct tape tabs in position temporarily to allow for pulling dome out. It's a REALLY tight fit! Required Experimental data plate. Doing a little taxiing around! It fits .... ... like a glove! !